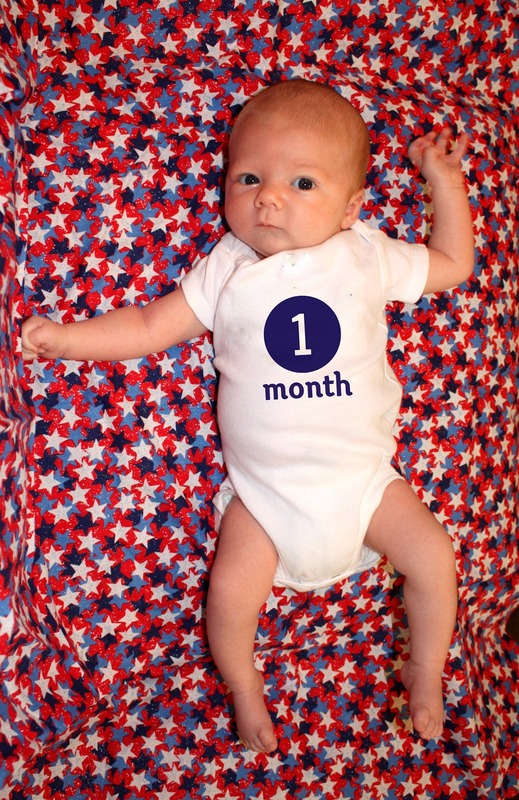 My how time flies when you are not sleeping! Or sleeping in 1.5 or 2.5 hour spurts like my sweet James. 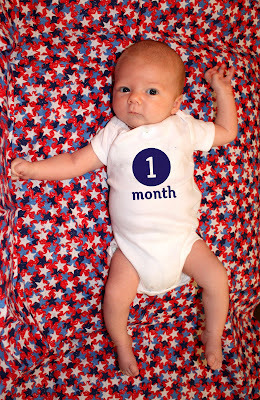 I can't believe he is a month old now! He weighs 9 lbs and is at least 22 inches long. Huge I tell you. The preemie diapers (up to 6 lbs) are like low rise undies on him. He is an eater for sure. And he loves nothing more than being held. Just today he was screaming in the car when Alex, he and Zach went to get a car wash. The second I picked him up he melted and fell asleep on me. In the driveway. In the 100+ heat. If you are holding him (and he is not hungry) he is completely happy. Alex got his first real taste of having a newborn last night. Yes, this is our second child, but remember, Alex was not home in the evenings really at all with Zach. Anyway, last night I went out to dinner with some friends and he had the boys - with some help from Uncle Chris. When I arrived home around 10 he told me that he had eaten every hour and refused to be put down. I was shocked...oh wait, I was not the least bit surprised having walked another Wall baby around the floor about 2.5 years ago. However this one has way more of a need to be held than his older brother. I did get the cuddler I wanted...be careful what you wish for. And that is the end of this post due to someone crying to be held. Again.